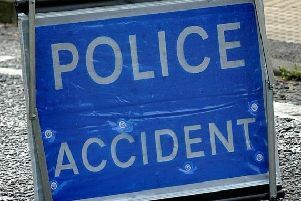 A woman suffered 'multiple serious injuries' in a collision with a vehicle in Bognor this morning, police have confirmed. Police said a pedestrian, in her 30s, was taken to St Richard's Hospital, Chichester after the accident in Orchard Way at around 8.40am. The road was closed both ways from Ash Grove to A29 Shripney Road due to the accident and has since reopened. A police statement read: "The road was blocked between the junction with Ash Grove and the junction with the A29 until around 11.25am. "No further details at this stage. "If you witnessed the collision please report online (https://www.sussex.police.uk/rtcappealresponse) or call 101 quoting reference Operation Stirling."